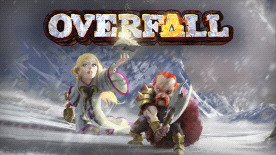 Overfall is a fantasy role-playing game of rough diplomacy and tough action. Explore, negotiate, and fight your way across the high seas! Challenging and addictive turn-based combat - careful strategy and cunning skill combinations are the key to victory against your foes! © 2015 Pera Games. All rights reserved.